I'm really picky when it comes to eyeliners because I have monolids or single eyelids. 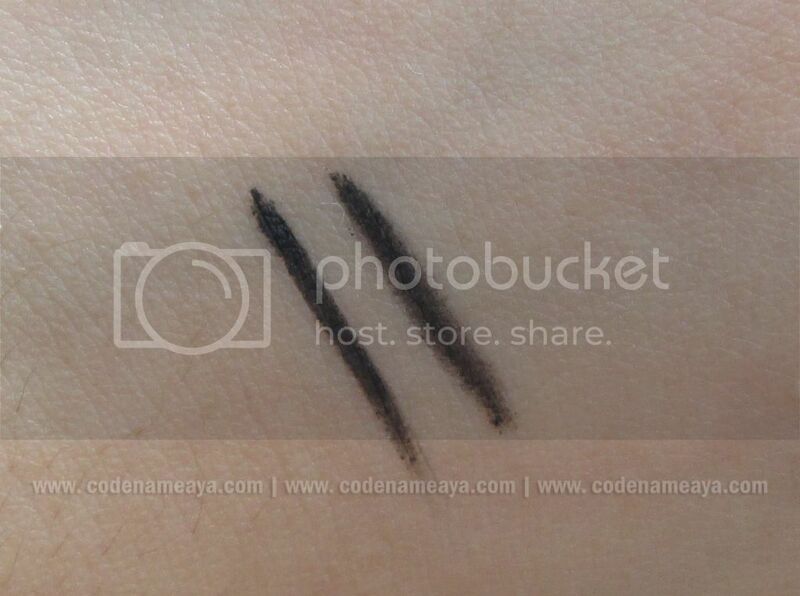 For an eyeliner to become a favorite of mine, it has to be really, really smudgeproof. I used to stay away from pencil and gel liners because the ones I'd tried smudged on me after just a couple of hours. I realized that liquid liners suited my lids best. But up until now, I still haven't fully mastered the art of lining my eyes with liquid eyeliner. And what I hate the most about it is how the liner gets all over my lashes too. Does that happen to you too? Or is it just me? Haha. Anyway, here's one of my favorite products right now. 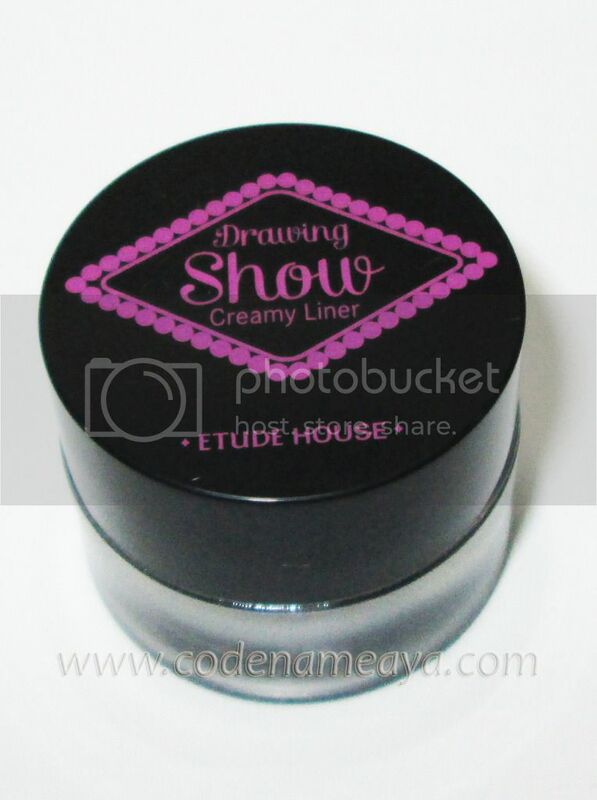 It's the Etude House Drawing Show Creamy Liner. I got mine in BK802, a black shade. 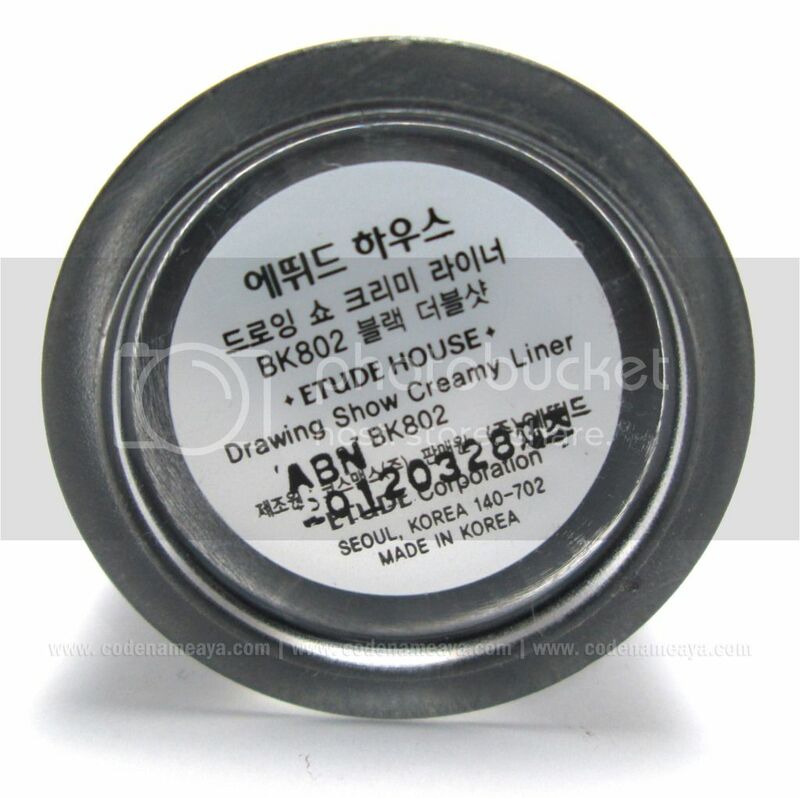 According to EH's website, there are four available shades of this cream eyeliner - BK801 and BK 802 (both black; I'm not yet sure what the difference is), BK803 (gray) and BR401 (brown). I actually didn't plan on buying this. I originally planned on getting any of the cream/gel liners from Maybelline and Fanny Serrano and ELF but kept on forgetting to check them out during my mall rounds. 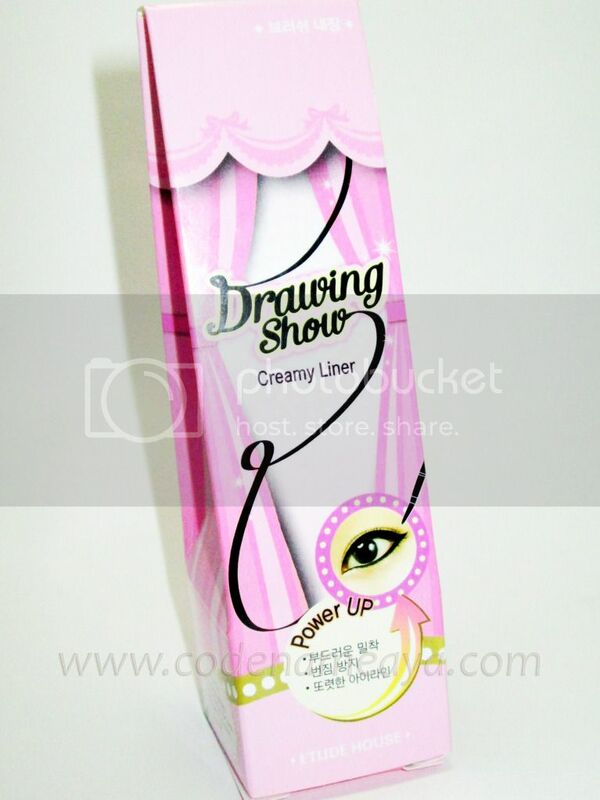 When I saw this new product when I visited Etude House last June, I suddenly remembered I needed a cream eyeliner. I swatched it first, of course, and I was quite impressed with the result. But more on that later. 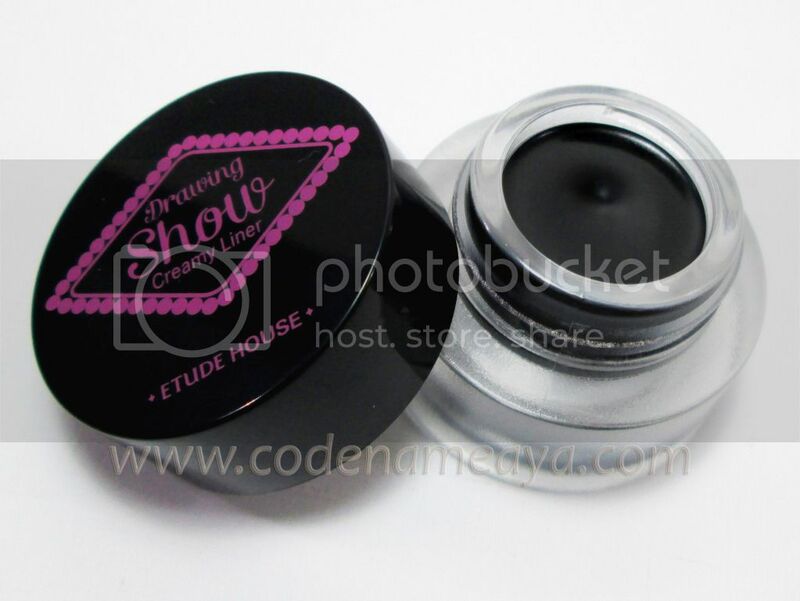 The jar has a matte finish, and the lid screws on tightly enough to keep the product from drying up prematurely. The product also came with a brush with its own cap. Normally, I just ignore applicators that come with my makeup because I prefer using my own brushes, but this one is actually good. I find myself almost always using this brush to line my eyes with the product. It's not as stiff as my pink Etude House eyeliner brush but still really usable. The box is also really cute. See, it looks really black in the jar. 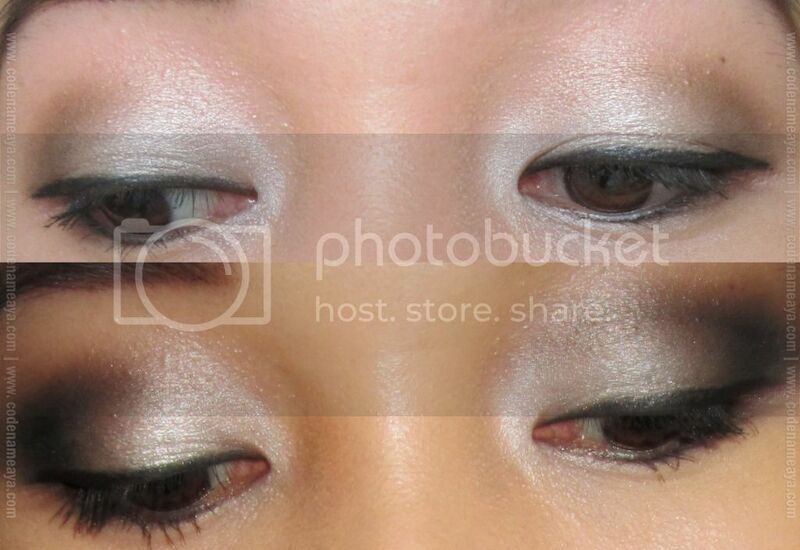 Here's how it looks on my lids. It claims to be waterproof. Let's see if it really is. See how it didn't budge after I smudged it while it's dry? Impressive. And see how it still didn't budge even after I put my hand under running water? The color only faded after I rubbed it while it's still wet. -Note that it didn't smudge, it just lightened/faded. See, no smudge marks there.- I rubbed it again after letting it dry but the color didn't fade even more. Once it dries, it stays put. And it doesn't even take long to dry. Here's me with lined eyes. I tried to line as thinly as I could. Here's how it looked after a day out, with primer and eyeshadow. Note: I used the ELF eyelid primer and a WNW Color Icon Trio here. I have oily skin. Photos taken with flash, too, that's why the color's a bit washed out. Oh, and by the way, the day I took the following photos, it was very hot in the morning then it rained in heavily in the afternoon, and I spent the rest of the afternoon at the mall. 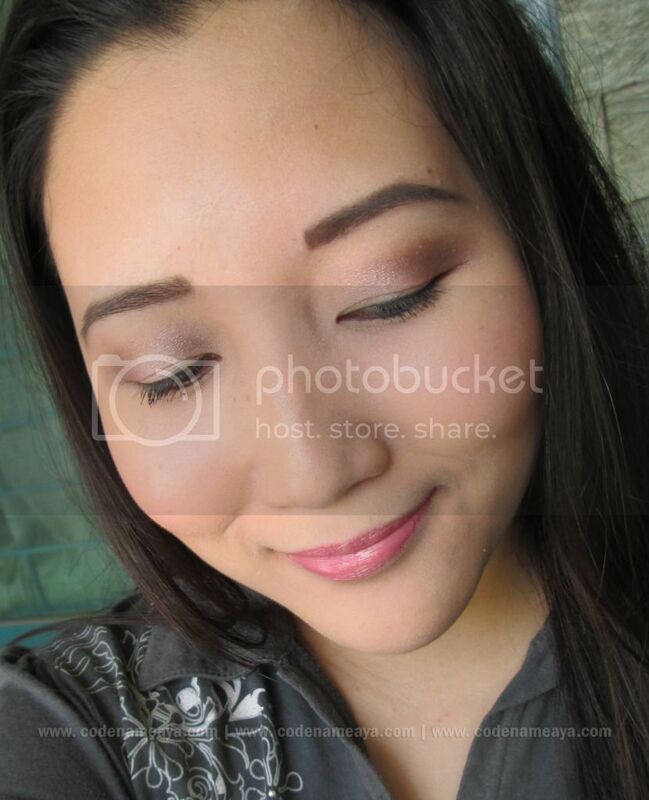 After 4 hours, the liner still looked freshly-applied. Minimal transfer after 8 hours. I was surprised myself. This was the longest it stayed put on me with the least amount of transfer. The primer helped make the liner stay put on my lids, of course. And I think the eyeshadow also helped as it's pretty long-wearing itself. I always apply primer and eyeshadow under this liner. On other days, like when I'm using other eyeshadows (not the WNW Color Icon Trio) or when the temp is high and I'm all sweaty and stuff, the liner stays put on my lids for about 4-5 hours with minimal transfer. 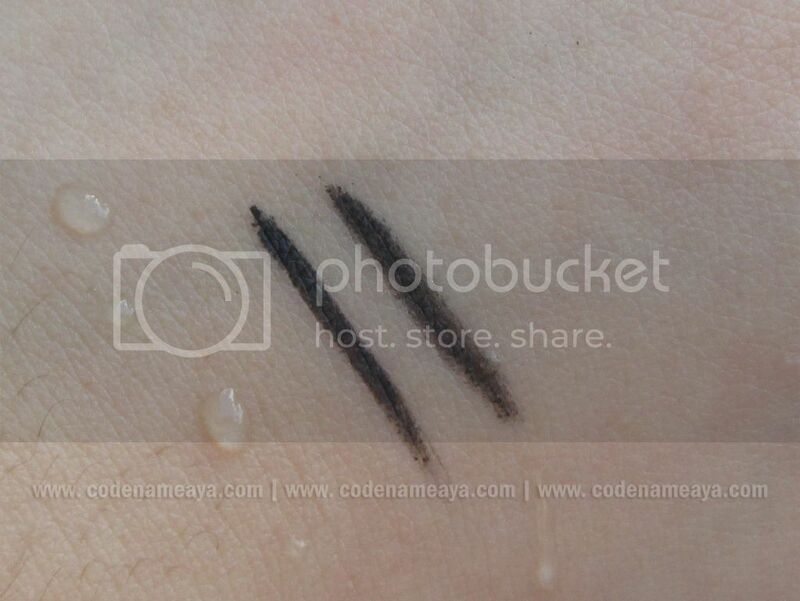 Without primer, this liner manages to stay on my lids for at least 3-4 hours without transferring. For a cream eyeliner, that's already a good wear time for me. I always use an eyeshadow primer, anyway. Oh, the joys of having monolids. I use this for my lower lash lines too, and it doesn't give me panda eyes after the day. 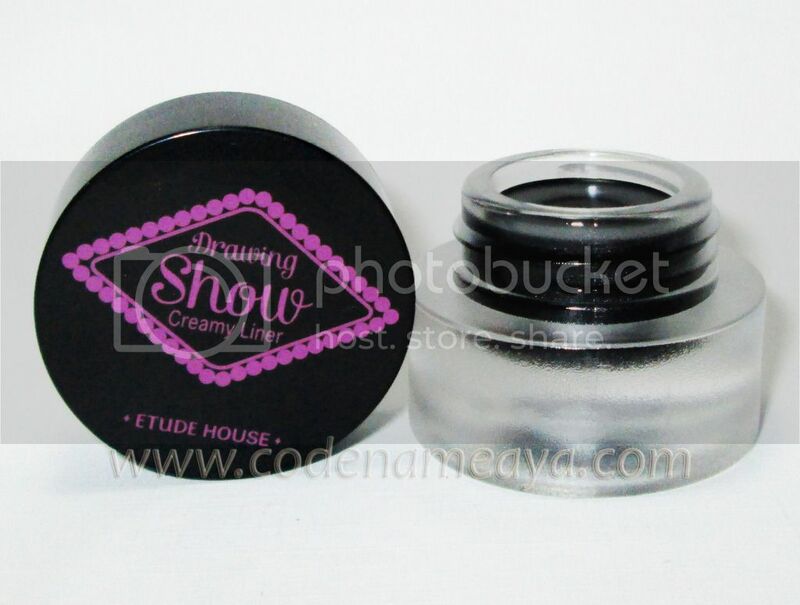 Smudgeproof - Stays on my oily monolids for up to hours with just minimal transfer. Great for my lower lash lines as well. Dries quickly on the lids - Takes about less than a minute to set. 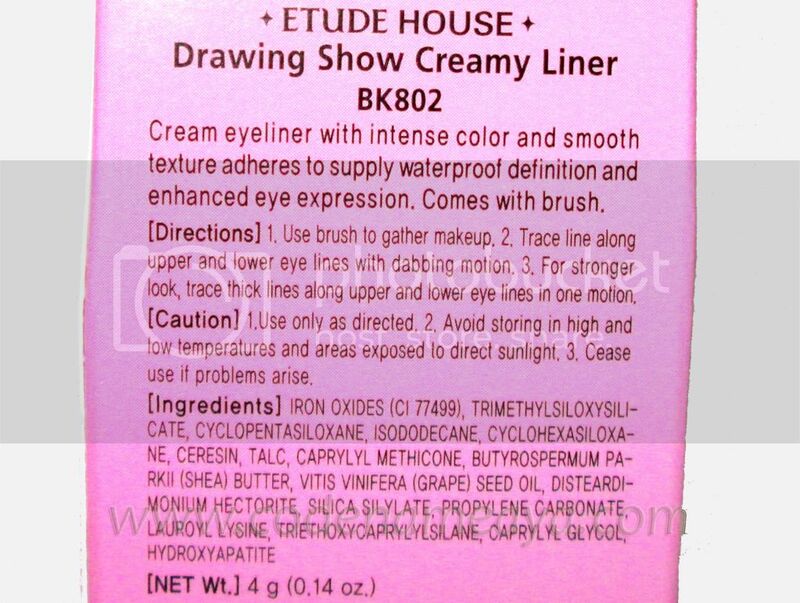 Comes off easily with regular makeup remover - I use Etude House's lip and eye makeup remover. Nice packaging - Keeps the product inside the jar from drying up. I've had mine for 5 months now but it still hasn't dried up. Price - Priced at P498 for 4 g of product. Maybe a bit pricey to some, but I think it's worth it. At first I didn't like using gel liners because there's more hassle in applying them, but I've come to realize that they're actually easier to use than liquid liners. 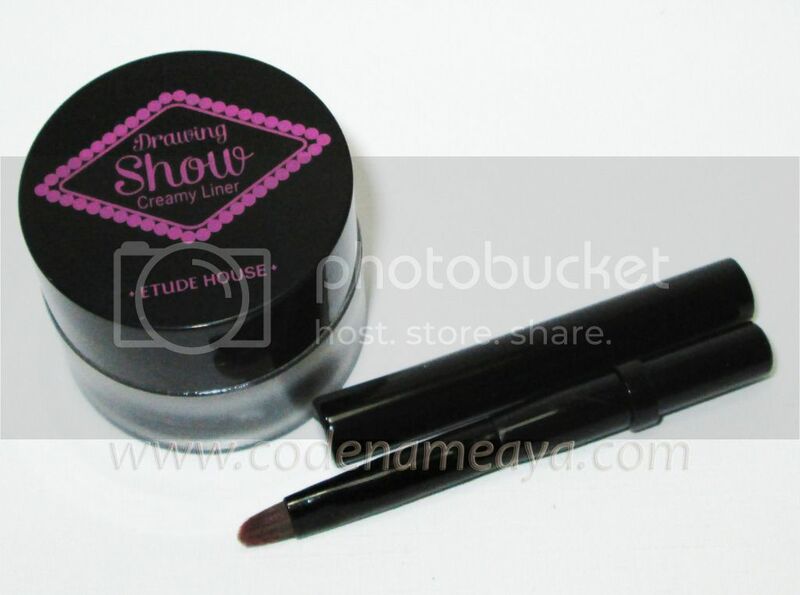 Etude House also has pencil versions of this liner, by the way, with more shades available. I wanna try those too. Liquid eyeliner on the lashes. I suffer from that too! My favorite is still san san's liquid eyeliner. It has a lot of short comings and I have other eyeliners but I'm so used with it's brush, I always keep on coming back to it. I'm really picky with eyeliners too. I have a hooded creasy so my eyeliner smudges on my upper lid. 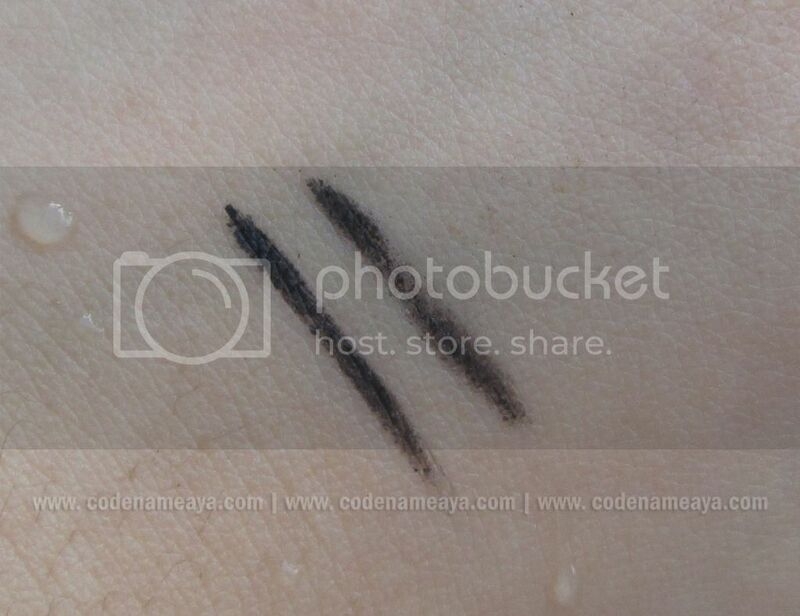 So I generally look for liquid eyeliners that doesn't smudge. I haven't tried this but seems great! I am adding this to my to-try list! I should try this. I have the Maybelline gel liner and it's pretty good but it smudges way too easily. I only use it when I'm going out for short periods of time. I should buy this. How much is this? Do I need to clean the brush after using it ? If so,how can I ? dont try the regular black pencil version! it's hard, and it gets rubbed off during the day. the color pop pencils are promising though.